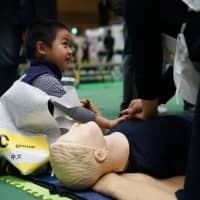 On the heels of a year marked by natural disasters — and with thousands of foreign workers expected to enter the country over the next few years — the Tokyo Metropolitan Government hosted a disaster drill Wednesday in Setagaya Ward to prepare foreign residents for the worst-case scenario. “We have to prepare for the worst,” she added. The drill has been held annually since 2006 and involves a series of presentations, simulations and interactive demonstrations designed to teach people how to respond during an emergency. As they rotate between stations every group of participants is accompanied by a translator or interpreter, and pamphlets are available in multiple languages to make sure everything is correctly understood. 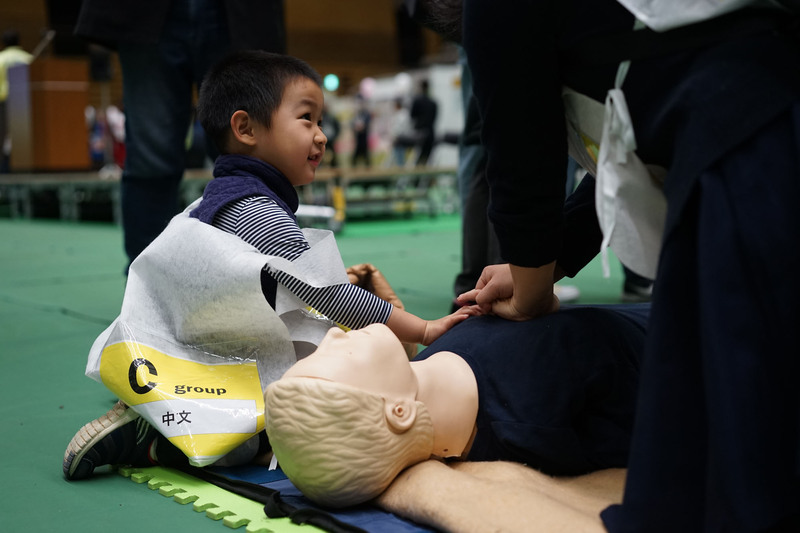 This year, 129 participants — 58 of whom either work at one of 28 foreign embassies in Japan or came with a family member who does — took part in the drill and learned skills such as how to perform resuscitation, how to use a defibrillator and how to maintain good hygiene and blood circulation during a prolonged stay at an emergency or evacuation center. More than half a million foreign residents live in Tokyo, according to Koike. The largest portion hail from China, numbering nearly 200,000 residents and equating to almost 40 percent of the foreign resident population in the capital. More than 90,000 are Korean and over 30,000 are Vietnamese or Filipino. Many of the remaining foreign residents hail from Nepal, the United States, India, Myanmar, Thailand and France. The governor believes most of them have never experienced a major earthquake. Li Xiao Ru, a researcher from Shanghai, China, moved to Japan a little over a month ago with her husband and 4-year-old son, Wu Yi Feng. She’s fluent in Japanese and English, and used both during the drill Wednesday to help her family understand what was going on. Li said she has felt several earthquakes in and around Tokyo even since her family started living here in December. She brought her family to the disaster preparedness drill in the hopes that, if a natural disaster were to happen, she would know how to protect them.